Patal Bhuvaneshwar - Why Visit Patal Bhuvaneshwar Caves? Patal Bhuvaneshwar is one of the most mysterious and spiritual place of Uttarakhand. This hidden pilgrimage situated at 1350 mts above sea level is mainly dedicated to Lord Shiva. Patal Bhuvaneshwar is a limestone cave situated 13kms from Gangolighat in Pithoragarh district of Uttarakhand state. The way to the Patal Bhuvaneshwar cave goes through a long and narrow tunnel. Other than Lord Shiva the forms of Sheshnag, Kal Bhiarav, Ganesha and several other gods can be seen in Patal Bhuvaneshwar. It is believed that the cave is the abode of 33 crore Gods and Goddesses. This mystical cave is 160m long and 90 feet deep where limestone rock formations have created various impressive stalagmite figures. Almost every god that you would have heard of resides in this mystifying cave. It is also believed that worship at Patal Bhuvaneshwar is equivalent to worshipping at Char Dham of Uttarakhand. Pilgrimage: Patal Bhuvaneshwar is famous for the 160m long limestone cave that is mainly dedicated to Lord Shiva. It is believed more Pilgrims from all over the country come to seek blessings at this place. 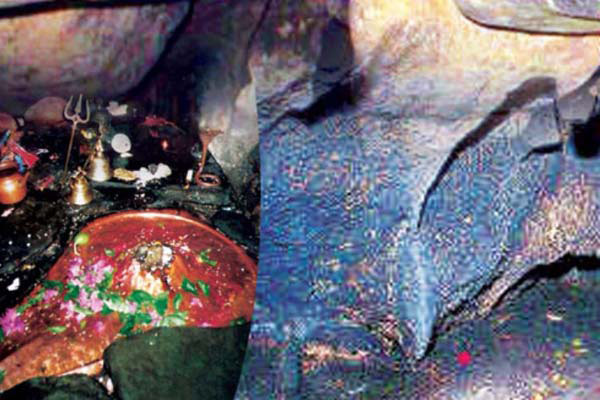 It is believed that the cave is the abode of 33 crore deities of Hinduism. Meditation: The quiet and serene environment at Patal Bhuvaneshwar is an ideal place to meditate in peace. There is an ashram, referred to as ‘Narayan Ashram’ nearby Patal Bhuvaneshwar where tourists can learn the art of meditation. There are quite a few budget accommodations with limited amenities available in Patal Bhuvaneshwar. These guesthouses provide comfortable stay to the guests. Being more of a pilgrimage place, no luxury accommodation is available at this place. In addition to that, there is also a government-owned guesthouse (KMVN) at Patal Bhuvaneshwar. There are only few roadside local restaurants and dhabas are available which at best, would serve popular north Indian dishes and few Chinese items along with local Pahadi cuisine. Being a place of religious significance, only vegetarian food is served at Patal Bhuvaneshwar. The Patal Bhuvaneshwar was discovered by the famous sage and philosopher, Adi Shankaracharya who visited here in 1191 A.D. 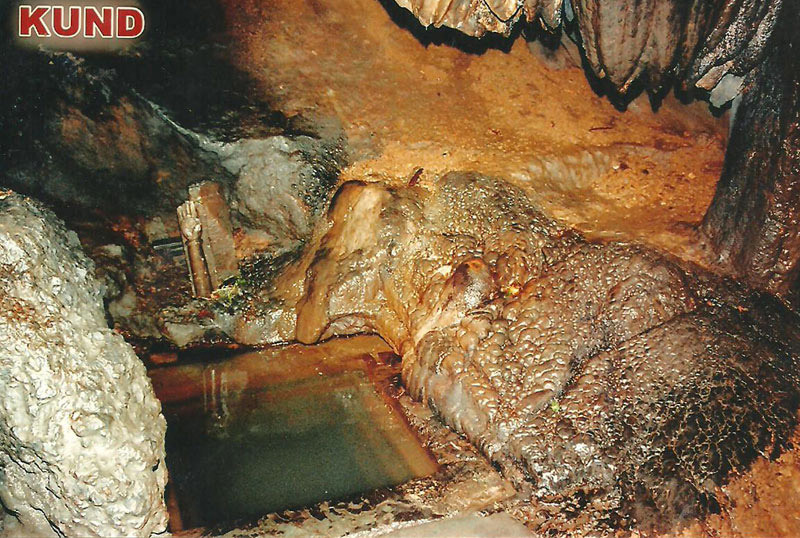 It is said that the colossal cave was unexplored and remained closed from ages or ‘yugas’. 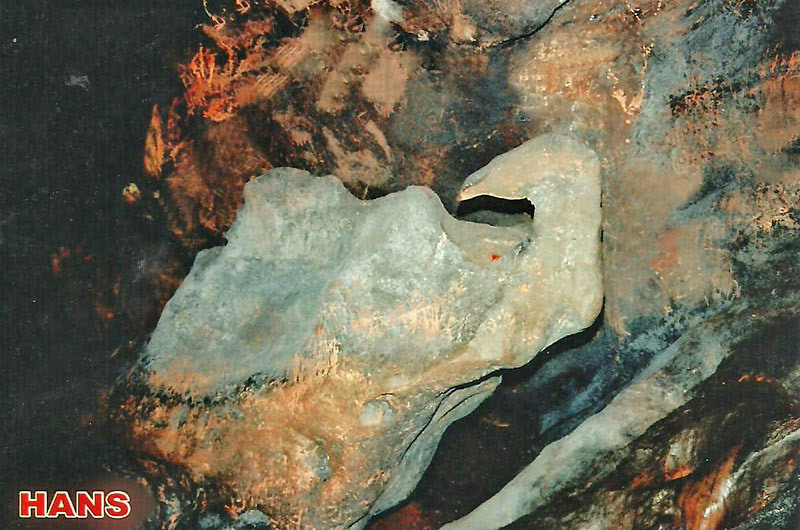 At present the, Patal Bhuvaneshwar cave is protected by the Archaeological Survey of India of Dehradun circle. As per the Hindu legends, the cave was firstly discovered in ‘Treta Yug’ by King Rituparna of Sun Dynasty. It is said that when King Nala, the friend of Rituparna was defeated by his wife Queen Damyanti, he sought Rituparna's help for escaping imprisonment. They went to the hinterlands of the Himalayas, where King Nala took refuge in the woods. While coming back, a beautiful deer caught the attention of Rituparna, he followed the deer but was unable to catch hold if it. The tired Rituparna took a rest under the shade of a tree and saw a dream in which the deer was begging him not to chase it. When his sleep broke, Rituparna started his ascent and somehow reached a cave. On having a surprise guest at the door, the doorman of the cave asked him about his visit. Being satisfied with his answer, the guard allowed him to enter the cave. Rituparna was then greeted by a Sheshnag, who carried him on its hood. The king was enchanted by the stone figurines of Gods that were adorned in the cave. It is said that after Rituparna’s visit, the cave remained closed for ages and was re-discovered by Adi Shankaracharya. Another legend states that it was here that the Pandavas performed their penance in front of Shiva, before commencing their final journey to the Himalayas. One can see the gateway of the great ages in Patal Bhuvaneshwar. There are four entrances inside the cave named as 'Randwar', 'Paapdwar', 'Dharamdwar' and 'Mokshadwar'. The Paapdwar was closed soon after the death of Ravana and the Randwar, literally, the road to war, was closed down after the great Mahabharata war. At present only two gateways are opened. You can see the tongue of Kali Bhairav, Aravati of Indra, hairs of Lord Shiva and several other wonders formed on the rocks, inside the caves of Patal Bhuvaneshwar. What is Patal Bhuvaneshwar famous for? Patal Bhuvaneshwar is famous among tourist as Cave, Temples, Scenic Beauty. Patal Bhuvaneshwar is recommended destination for Couples, Family and Kids, Foreigners, Groups, Solo. Patal Bhuvaneshwar is popular destination for following activities/ interests - Adventure, Hill Station, Monuments of National Importance, Pilgrimage, Temples. Travelling to Patal Bhuvaneshwar in 2019? Contact us for planning your Patal Bhuvaneshwar tour with best travel packages of as per your requirements!